T-Mobile USA announced the LG Optimus L9 earlier this week. 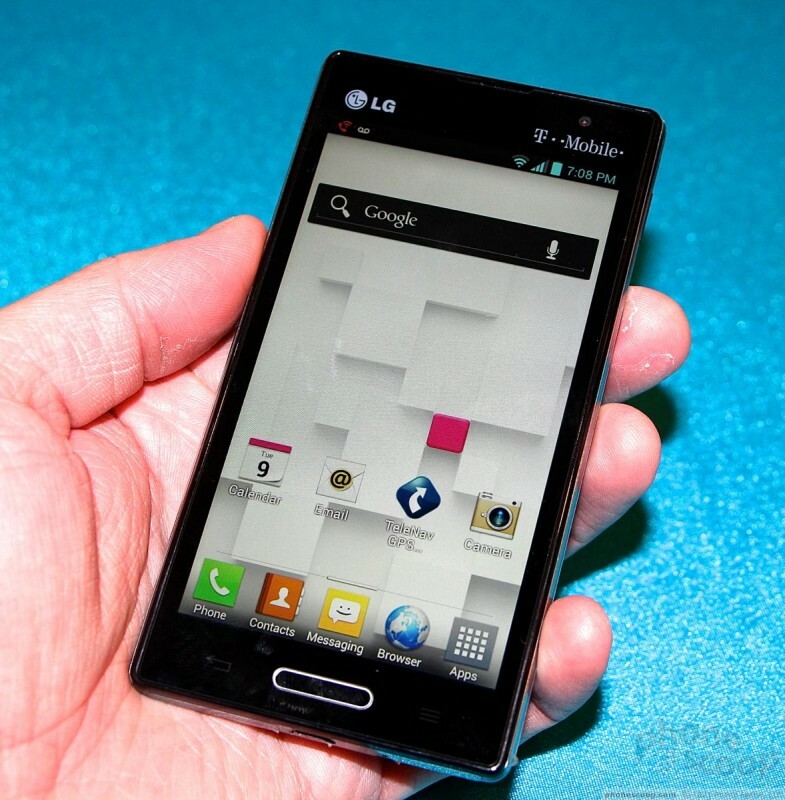 This Android 4.0 Ice Cream Sandwich smartphone is a thin and light entry from LG that packs fast data and a palatable price point. 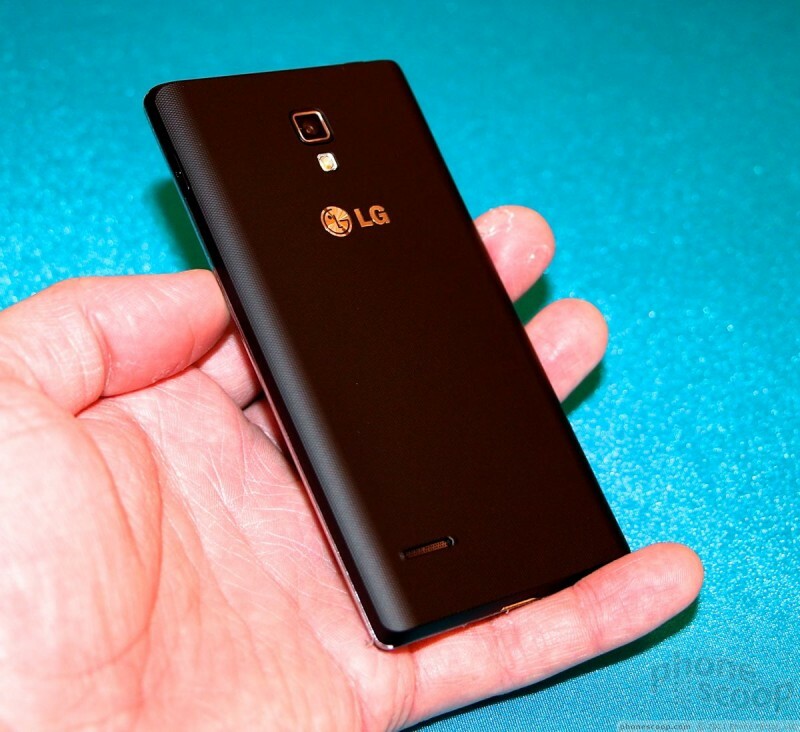 The first thing you notice when you pick up the Optimus L9 is how light it is. 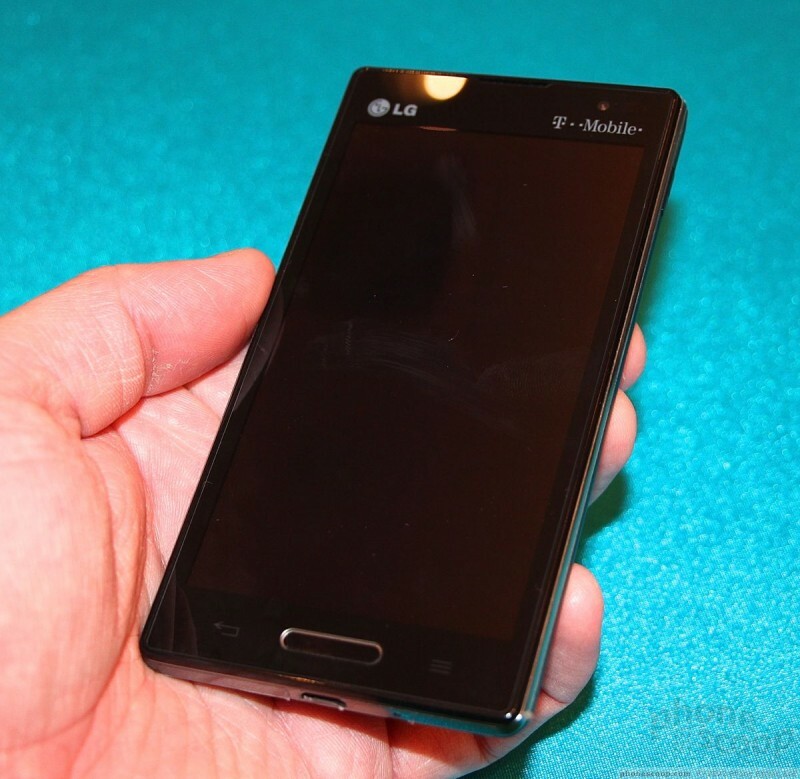 It is one of the lightest phones I've held in a while. 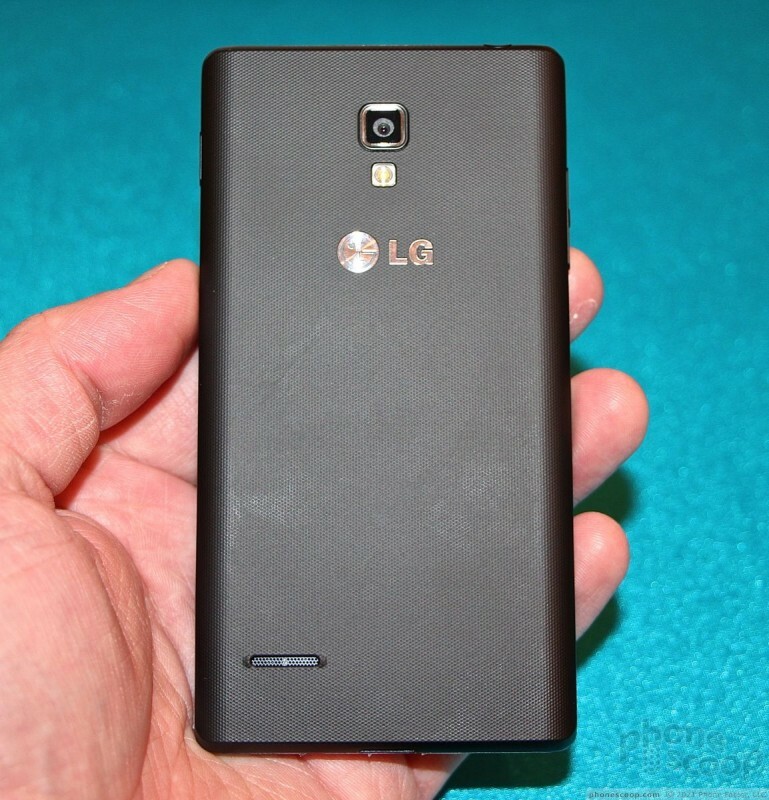 Combine the low weight and the thin profile, and this is one easy phone to hold. 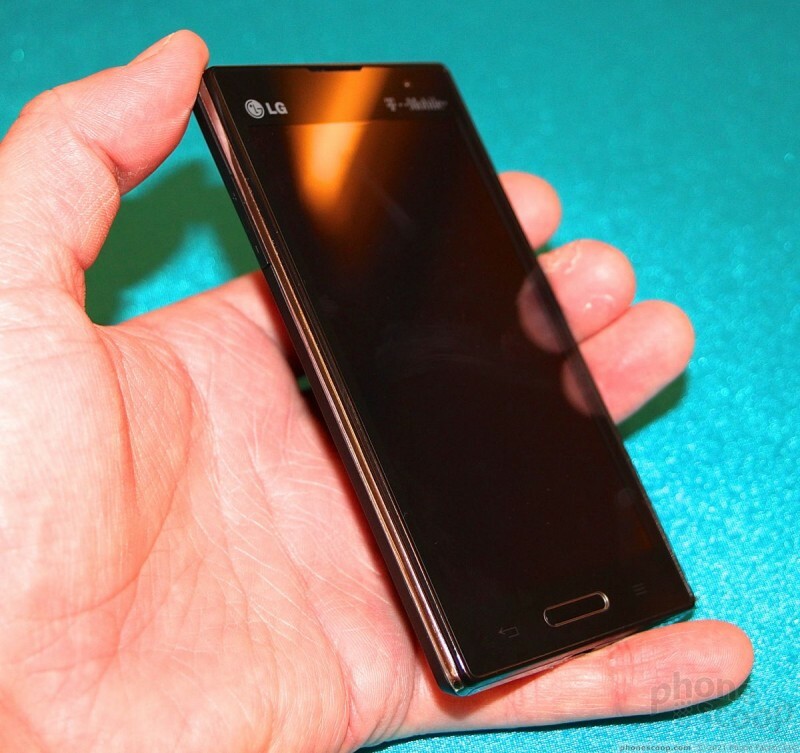 This phone will completely disappear when you put it in a pocket. It's thin and light enough that you'll forget it is there. 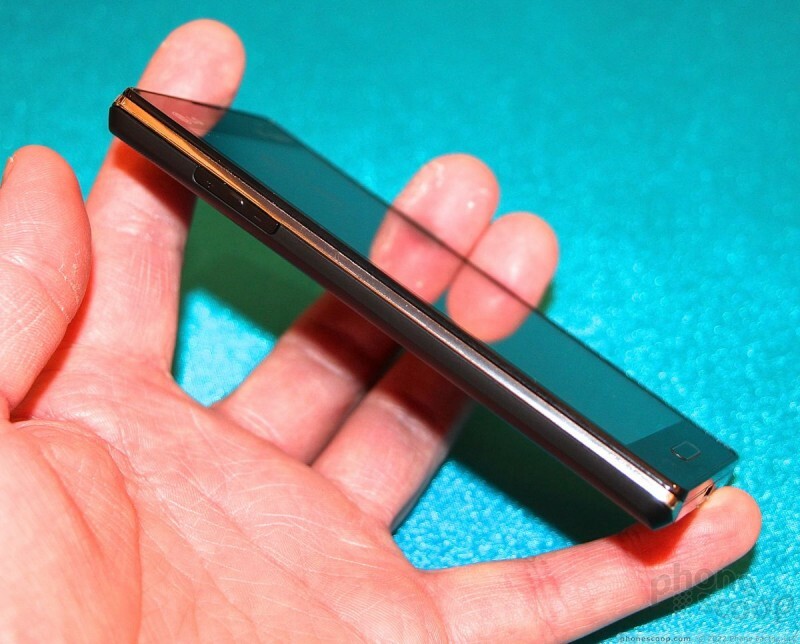 The design is fairly straight-forward for an LG device and mirrors the sharp-angled, rectangular phones we've seen from the Korean maker of late. It is blocky looking from the front thanks to the severe corners. The back battery cover is black and has a rough texture to it. This is contrasted by chrome-y side surfaces that are smooth and shiny. The buttons on the sides of the phone are pretty useless. The volume toggle, on the left edge, is about as small as they get. We're talking a centimeter in length, and that's probably being generous. That makes finding the directionals really difficult. It's too easy to press the entire button rather than the Up or Down side that you might want. 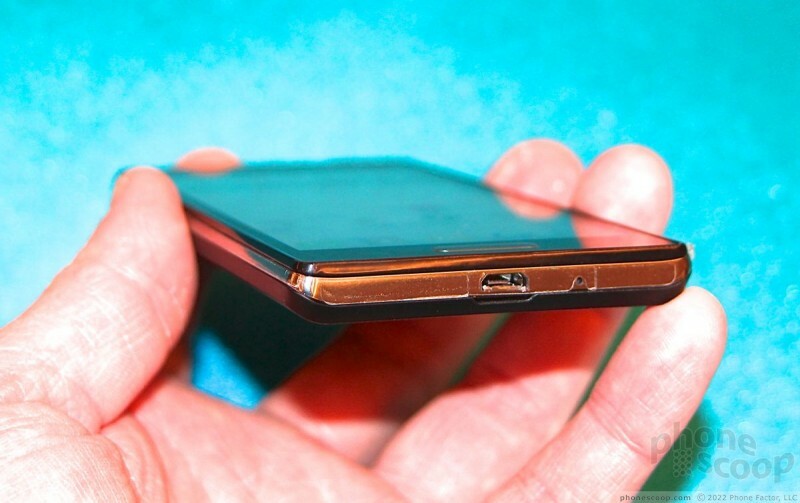 It's also recessed too far into the body of the phone, and offers barely any travel and feedback. Same goes for the lock screen button on the other side. The headphone jack is on top and the microUSB port is on the bottom. The display is quite nice. 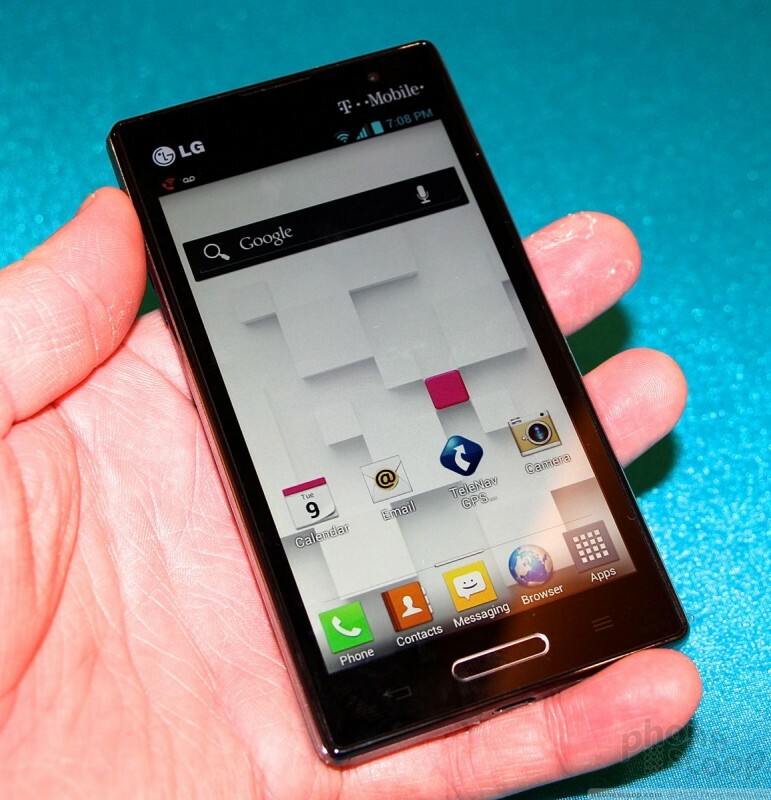 It measures 4.5-inches and has qHD resolution. It was bright, crisp, colorful, and clear. The web pages and photos I looked at were appealing and had plenty of pop to them. The 4.5-inch size really makes for a nice balance between device size and screen real estate. 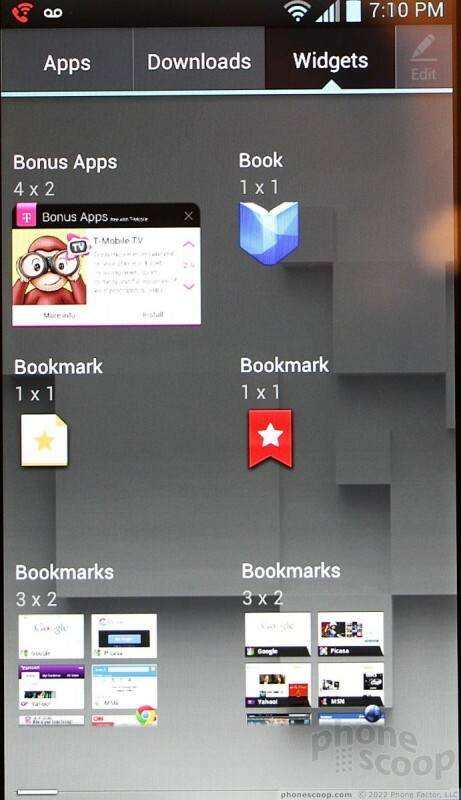 The user interface is similar to those we've seen from LG on its devices lately. 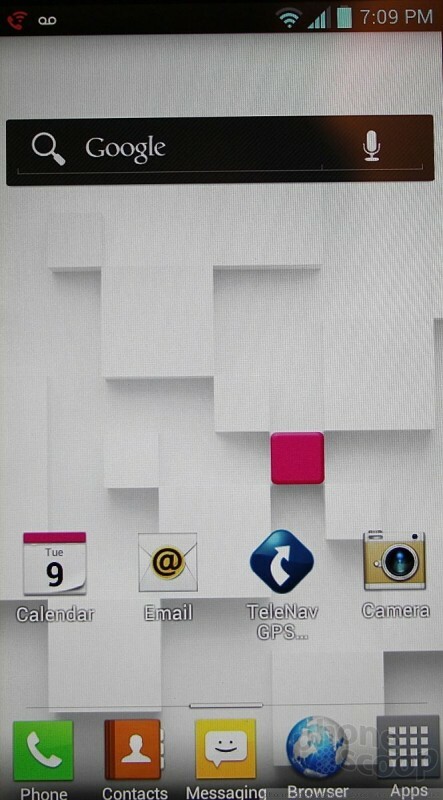 The L9 runs Android 4.0 Ice Cream Sandwich, but has been skinned with some LG customizations. 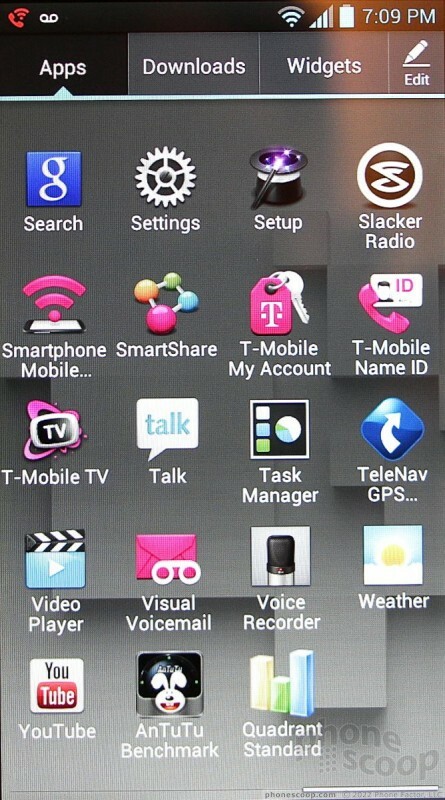 They are most prevalent on the home screen panels (I'm talking about widgets), and the main app menu. 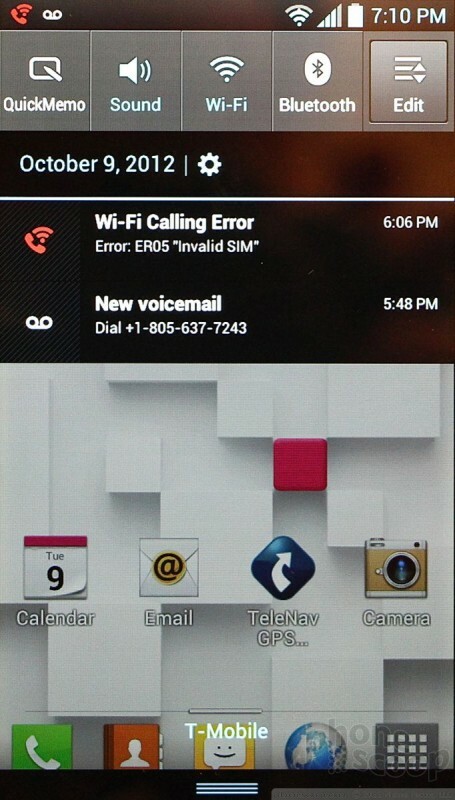 Most of the deep-down settings menus are stock ICS. It was speedy and smooth, with no noticeable performance problems. 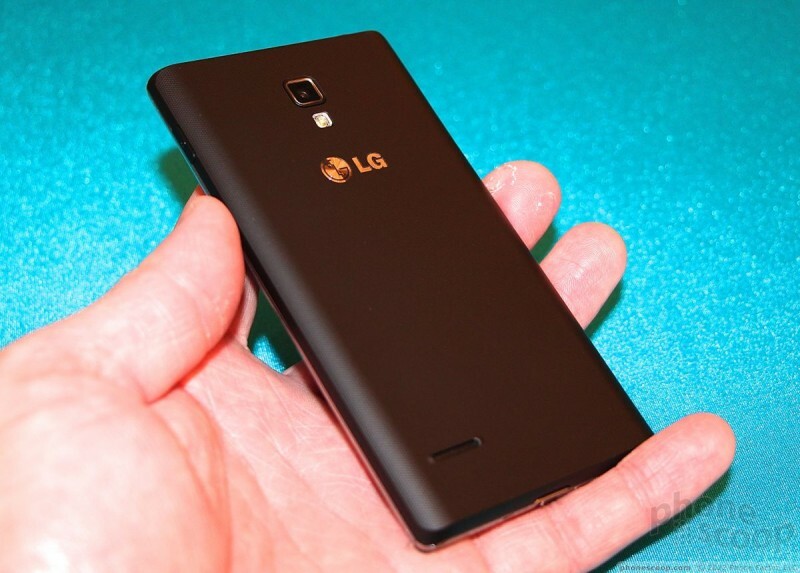 The L9 is an attractive entry from LG that will surely appeal to smartphone buyers looking for something that's pocketable and powerful.